"All this being accomplished, place your attention in the tips of your fingers and turn the page." Last fall I wrote Mike to ask about buying the original, but he offered to trade it for a piece of music instead. 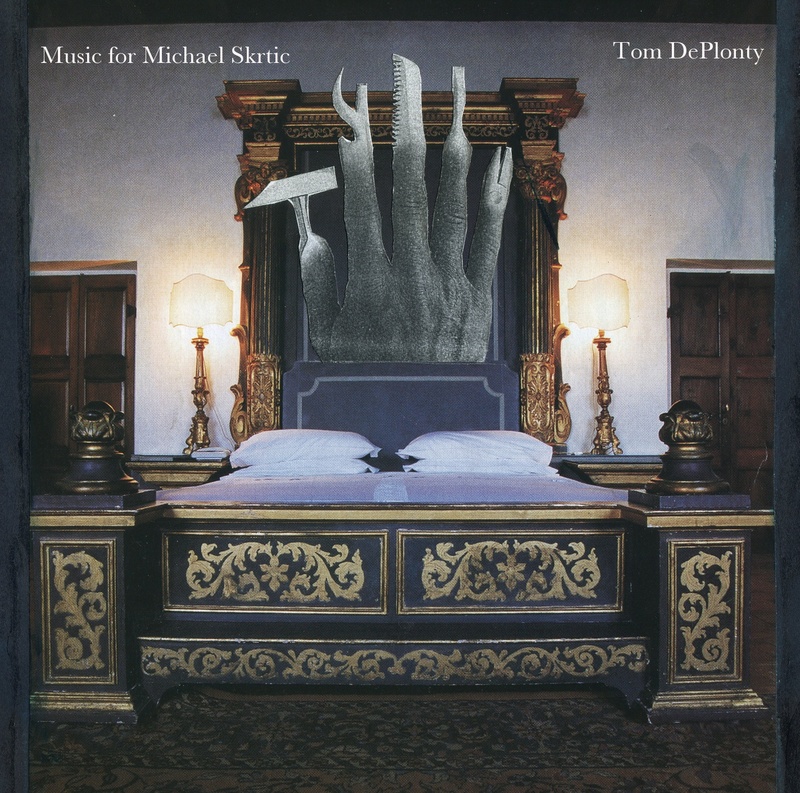 And then, after I wrote Music for Michael Skrtic, Mike agreed to do the cover art. The Dream Manual painting is a collage. In Mike's collage, you're struck, at first, by how incongruous the elements seem - why are penguins standing next to that chronometer, anyhow? Looking closer, you notice sly correspondences among them, at levels from the purely visual to the symbolic. I've tried to pull off something similar in this music. The pieces are in some ways pretty disparate - one in a strange tuning, another an ambient drift, sample-based minimalism, a soundscape, polytempo piano music. But as you listen closely, I hope you'll hear the many connections among them. 1. The Art of Manliness: The first movement is a fanfare in an unconventional tuning. Mike says this piece sounds like him blundering around the house and yard, making repairs. And you can also hear it as a kind of parody of the last movement. 2. La petite sonnerie: The source of this movement is a recording of harmonics and other mostly unconventional sounds played on the acoustic piano in my living room. The recording was digitally stretched by a large amount, and then loops were cut from the stretched-out sound. The piece walks through these loops, playing each once, often with several going simultaneously. The sonneries are the movements in mechanical watches designed to ring the hours and fractions of the hour. The petite and grande are less and more elaborate schemes for marking time, requiring correspondingly less and more complicated mechanisms. 3. On a phrase by Brahms: The underlying sample is played (backwards and further processed) in gradually wider slices. It's a fragment of the piano solo that introduces the second theme of the first movement of the Brahms C minor piano quartet. Also a living room recording. 4. Flame Hand: Each of the three voices (piano, bass, and synthesizer, all heavily processed) walks through a simple musical process in its own time. A short musical ritual. 6. La grande sonnerie: A musical image of the inside of the chronometer, with its network of gears of different sizes, spinning in different directions at different speeds. In the last part, the clockwork mimics natural rhythms and sounds, suggesting birdcalls and light flickering on water.